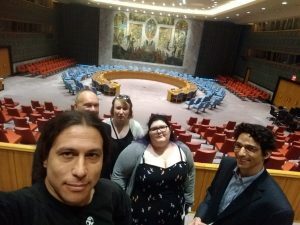 On May 21st and 22nd, a group of five pirates from around the world visited the United Nations Headquarters in New York for the 6th Biennial High-level Meeting of the Development Cooperation Forum (DCF). 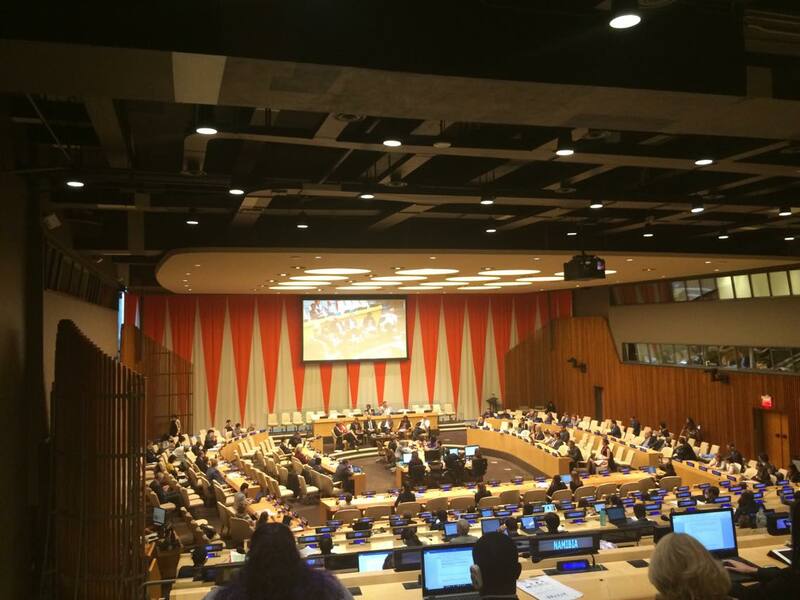 This was the first meeting we attended as a designated consultative member of the ECOSOC committee. The event featured discussions from numerous prominent parliamentarians and NGO leaders. Representatives from the US Pirate Party and Pirate Party of Israel attended on behalf of Pirate Parties International Headquarters: Liz Gorski (USPP), Ohad Shem Tov (PPIL), Joe Klein (PPWI), Meg Cochran (USPP), and Keith Goldstein (PPI/PPIL). Most of the discussions at the event focused on development of the so-called “South”, a term which many speakers indicated is fraught with contradictions. Development should be considered on a scale with varying categories of measurement, and the distinction between donor and recipient is increasingly grey. A great deal of discussion focused on South to South collaboration, as well as the triangular and trilateral models for development projects. Expanding on the themes of the conference, we should examine opportunities for Pirate parties to collaborate on development activities in poorer regions. We might develop digital hardware facilities, online training exercises that will assist individuals achieve digital employment, or forums that assist collaboration flows. There are a number of great opportunities for Pirates to function as intermediaries for development activities, but we require motivated members who will instigate them. Please let the PPI board (board@pp-international.net) know if your organization is coordinating development activities that we should promote through the UN, or if you have ideas for developing new projects. We look forward to updating you about further events, and please don’t hesitate to contact us if you would like to be a representative in the future.